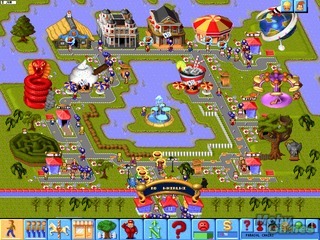 Theme Park is a strategy game about running your amusement park developed by Bullfrog Productions and published by Electronic Arts in 1994 for Mac, 3DO, Amiga, and DOS. 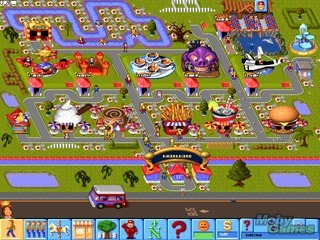 Theme Park puts you at the helm of your entertainment park. 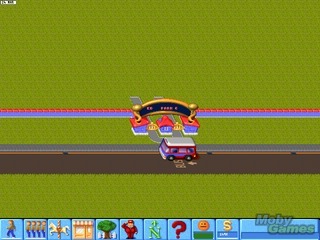 Your goal is to build rides and other facilities and keep your guests happy and profits high. Starting out, you need to pick your rides. 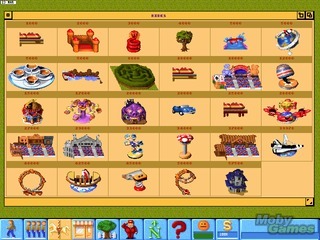 They include the classics like haunted houses and water rides. 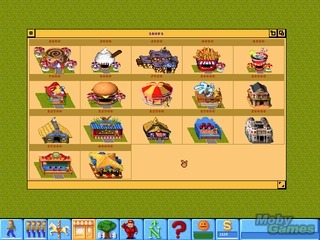 Places to eat and purchase souvenirs are required to help you generate profit. 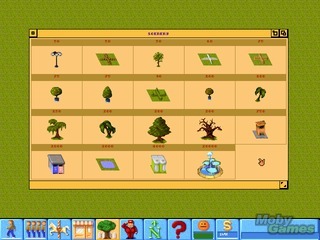 You must also keep nice looking park grounds by installing water features and greenery. Employees are also essential to the smooth running of your facility, but you need to pay them fairly if you want them to work. Entrance fees to your park can’t get too high, or you’ll lose business. Rides will need to be serviced to keep them in working condition. 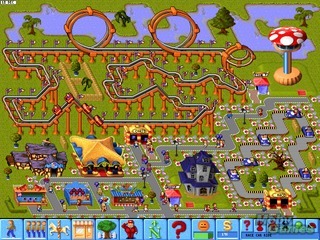 Theme Park offers different modes that control the difficulty of the game and how many other things you need to worry about like research and stocks. Once your park is successful enough, you can sell it to the highest bidder and use that money to build new parks in other areas of the world. 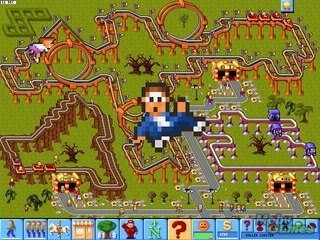 It’s like taking over the world, but with amusement parks. I enjoyed this game a lot growing up. It was one of my first strategy games, and it’s still a fun way to pass the time. You can try this awards winning strategy game for yourself and let us know what you think.